FINAL KIDSCREEN HOT50 RANKINGS ANNOUNCED! Toronto, October 28, 2015: Kidscreen is thrilled to announce the results of its Hot50 ranking of 2015’s leading companies in broadcasting, production, distribution, licensing and digital media. 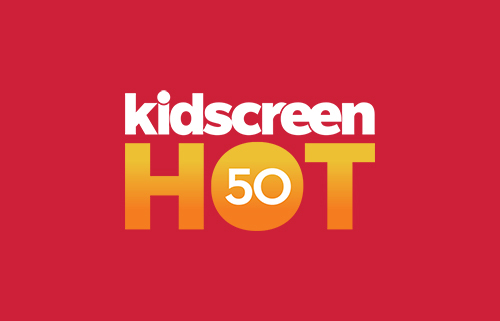 The top-ranked companies in each category will be formally inducted into the Kidscreen Hot50 Hall of Fame in a celebration to be held during Kidscreen Summit 2016 (February 8-11 • Miami, Florida). And all of the Hot50 companies will be profiled in a special print issue due out on December 10 that will be mailed to Kidscreen’s full circulation list, plus distributed at NATPE and Kidscreen Summit in the new year. Kidscreen will also showcase the Hot50 companies on a dedicated microsite for a full year, and then archive this content so it’s still searchable and accessible online. Tagged 9 Story Entertainment, Budge Studios, Cartoon Network, Dreamworkstv, Maker Studios, Nelvana Enterprises, PGS Entertainment, Promote yourself, Saban, Sesame Workshop, The Jim Henson Company, The LEGO Group.